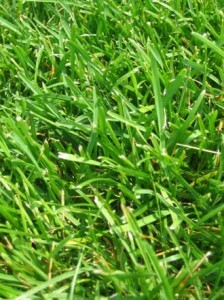 The fact of the matter is most lawns don’t need to be watered unless they have been newly seeded. If your lawn is comprised of grass that is natural to your climate then it will be accustomed to the amount of rain in your region and you run the risk of overwatering it. Don’t forget that overwatering and overfeeding are the two leading causes of fungal disease in lawns. If you just can’t help yourself then try to be as efficient as possible when watering. Wait until the soil has dried out to the depth of the grass’ roots before watering. 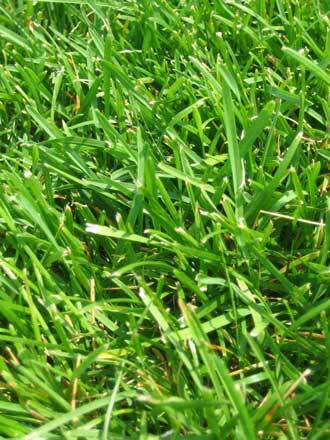 Don’t go into a tizzy if your grass is a little brown – that just means it is dormant, not dead. You should only water in the morning to minimize evaporation. To reduce the amount of water lost due to runoff, water your lawn slowly. Also make sure to water your lawn deeply to make sure the water reaches the roots. Brief and shallow watering tends to weaken your lawn by leading to stunted roots.